In today’s demanding consumer goods environment, goods-producers are creating thousands of new product SKUs everyday to satisfy consumer demand. Along with these new products, come new packaging needs. 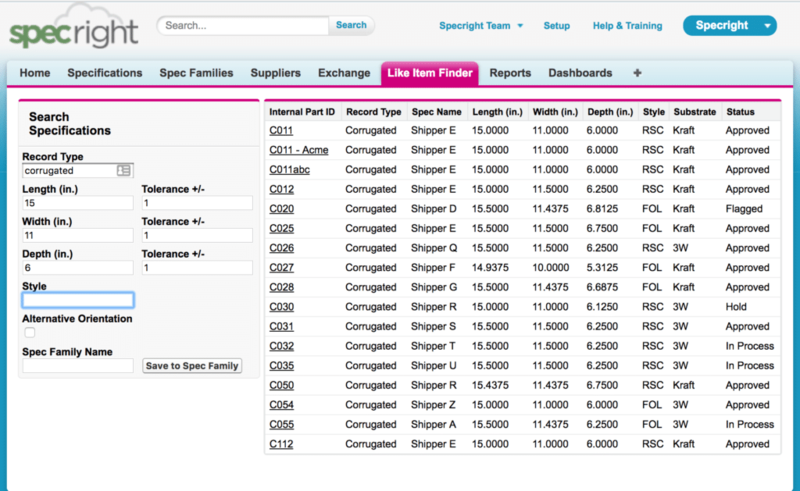 Specright’s Like Item Finder makes it easy for companies to find already existing similar packaging specs quickly to enable faster time to market. In addition, it can be used to avoid the creation of duplicate items, to provide visibility in harmonization/consolidation projects for bulk purchasing and to find similar items that can be substituted in out-of-stock situations to reduce shortages and eliminate downtime.